Qualification: Bachelor Degree (Arts / Science / Commerce) from a recognized University with a Certifi-cate /Diploma of Computer Operation of at least three months duration. Age : Upper age limit of the candidate should be 43 years as on 01.01.2018 (relaxation as per Govt. Rules). Selection Procedure : Selection will be done through written test (60%), computer test (20%) and personal academic records(20%) as per the latest guidelines issued by the Director of Higher Education, Assam and the Assam College Employees (Provincialization of Services) Rules, 2010.The candidates must know local language and must have working knowledge of Assamese and English typing in words and simple calculations in excel sheets. 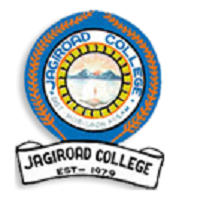 Interested candidates may submit their applications together with self attested testimonials to the Principal & Secretary, Jagiroad College, Jagiroad, Morigaon, Assam PIN-782410 within 15 days of publication of this advertisement with a bank draft amounting Rs. 600.00 (six hundred) drawn in favour of Principal Jagiroad College payable at Canara Bank, Jagiroad branch, Jagiroad.